Buy Semi-automatic stone mill flour machine - Shandong Leader Machinery Co.,ltd. Keep the nutrients in the flour.At present, China's wheat flour processing process goes through high temperature two high-speed, under normal circumstances, the vitamins, minerals, most of the activity and nutrients are destroyed, for this kind of situation, introduced stone mill low temperature processing method, reasonably, beneficial to health. First is the original, not adding whitening agent, lubricating agent and preservative, green pollution-free, eat the rest assured. Second, the low temperature processing, starch pasting, there is no cure of plant protein (gluten) face did not change, vitamins, trace elements have no damage, nutritional value intact.This is the two difference of mechanism of stone mill flour and flour. For the whole Semi-automatic stone mill flour machine,warranty is 12 months,within 12 months,if have equipment quality problems,we will provide accessories freely. After the expiration of the warranty period,if have spare parts problem,we only receive the cost of required replacement parts.We commit we will provide free technical support of equipment all whole life. Our company has engaged in producing and exporting Semi-automatic stone mill flour machine for many years, and until now, our machine has exported to overseas market, such as Brazil, India, Indonesia, Russia, Thailand and so on, and get the foreign customers' unanimous praise. We believe that you purchase Shandong Leader Machinery Co.,ltd. 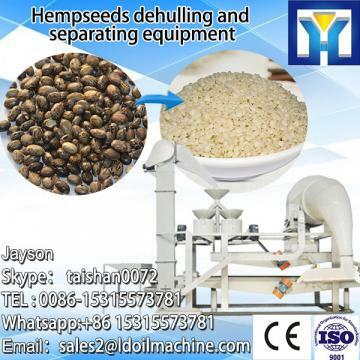 Semi-automatic stone mill flour machine is your best and sensible choice.